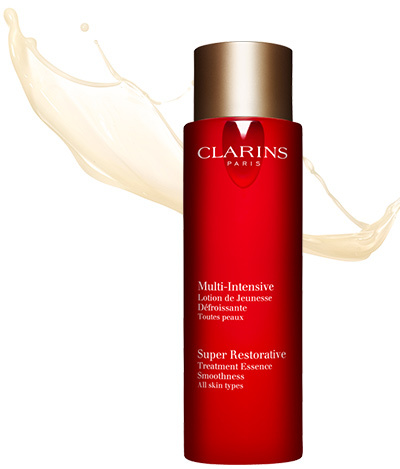 Clarins new Super Restorative Treatment Essence, inspired by Korean beauty is an energizing, anti-aging lotion that helps mature skin stay in its best shape. 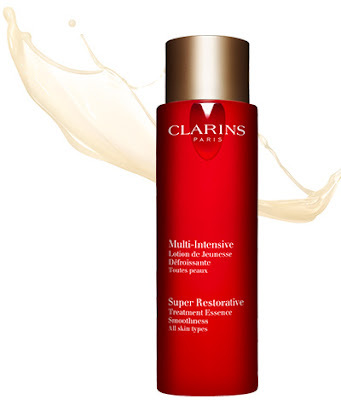 Just like the rest of the products from Super Restorative line, the new Treatment Essence is formulated with pure extracts of organic botanicals, including exfoliating Hibiscus Flower acids to enhance quick removal of dead surface skin cells and Harungana extract to help soothe and replenish the skin. 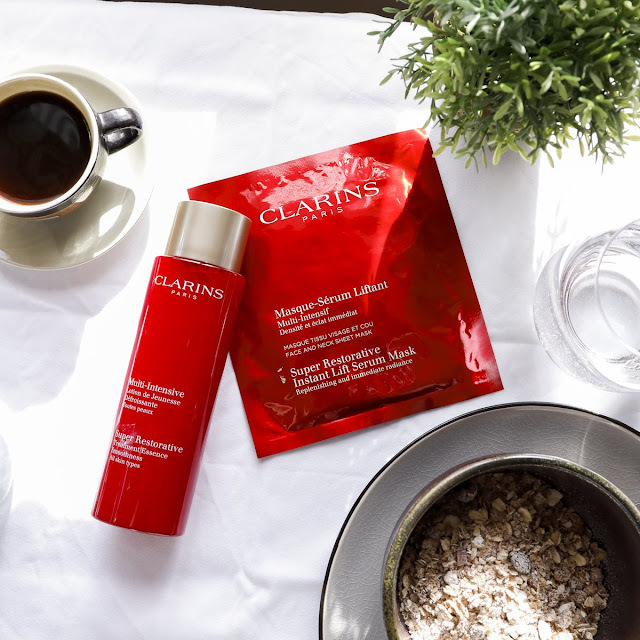 Treatment Essence, is the latest product to join the Super Restorative range, the lightweight fluid is a quick pick-me-up for tired skin weakened by the natural aging process, this energizing anti-aging lotion visibly smoothes and softens the skin, refines pores. 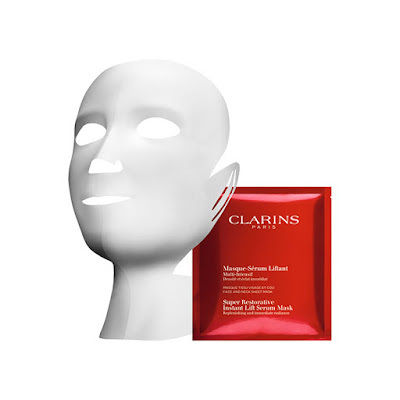 It provides tired, dull skin with a boost of intense radiance and energy so it appears more youthful and radiant. 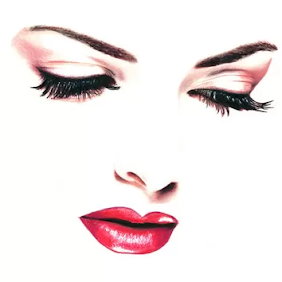 Organic fungus extract used helps to activate skin functions and prepare it to increase absorption of skin care products, making them more effective. The Super Restorative Instant Lift Mask is Clarins’ first product of this kind, uses the same rejuvenating formula in a convenient sheet-mask format, This triple action anti-aging sheet mask visibly lifts, plumps and minimizes the appearance of lines and wrinkles. 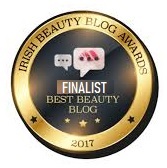 In just 15 minutes, the skin is transformed into a younger looking, velvety smooth canvas, perfectly prepped for makeup application. Available now at all leading Clarins counters.